As the Seven Years' War entered its latter stages through 1758 and 1759, French forces and colonies in northeastern North America came under renewed attacks from British troops. 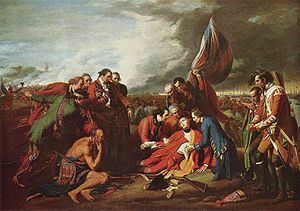 In 1758 after defeat in July at the Battle of Carillon, the British took Louisbourg in August, causing Atlantic Canada to fall into British hands, and opening the sea route to attack Quebec. Fort Frontenac fell to the British in the same month, costing the French supplies for the Ohio Valley campaign. When some of the Indian supporters of the French made peace with the English, France was forced to draw its troops back. 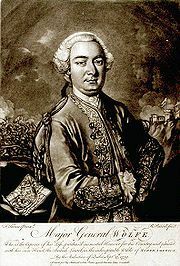 French leadership, specifically Governor de Vaudreuil and General Montcalm, were unsettled by the British successes. However, Quebec was still able to protect itself as the British prepared a three-pronged attack for 1759.